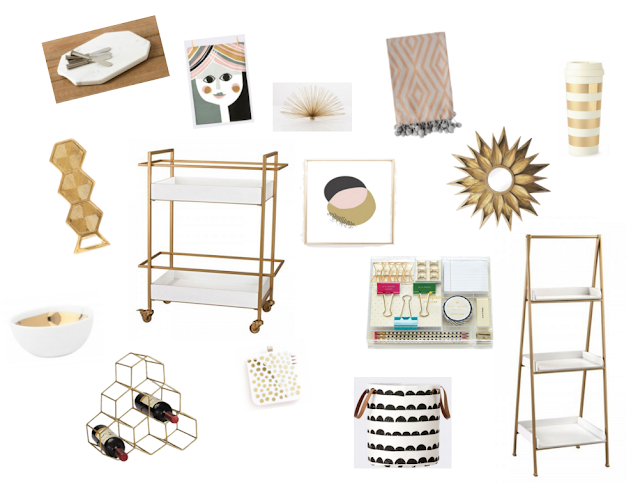 Hanging with the Hewitts: An early Gift guide + Lulu and Georgia Giveaway! Today I am teaming up with one of my favorites, Lulu and Georgia! I was so excited when they asked me be a part of their 12 Days of Giveaways! I mean, it was a no brainer being that I love everything they carry, and I knew you guys wouldn't mind a little gift card to get your shopping on a little early! Below, I've listed 15 items that all have me swooning! Most of the items would make great gifts for friends and family, as far as the others, you may want to put on your own Santa list :) I mean that bar cart and the bookshelf...so, so good. And believe it or not, they are both super affordable! And that Mrs Tea Towel needs to live in my kitchen, stat. You can shop all my selections right here! Now for the good part.....the GIVEAWAY!! One lucky reader will win a $100 gift card to spend on anything they would like at Lulu and Georgia! The giveaway will start today on my Instagram here, so make you guys are looking out! Ahhhh I want that shelf!!! So obsessed with Lulu & Georgia!! Love your picks!